This is a shot of a small graphing program I wrote (in C++, using the FLTK widget set) that uses /dev/schemix to periodically poll the value of the kernel variable nr_threads. 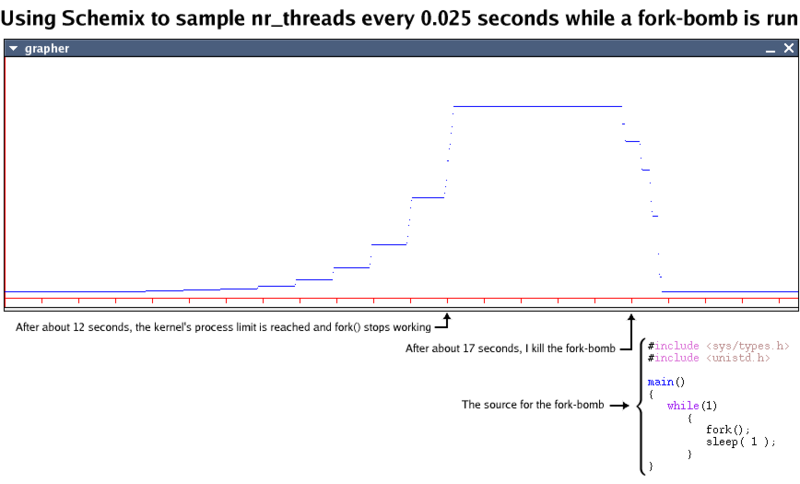 The stepped-exponential growth of the fork-bomb can be clearly seen, and the sampling rate is high enough that we can see some features in the tail of the curve, after the bomb is killed. Note, for example, that the stepping effect in the tail is real - it's not an artifact of the graphing process. 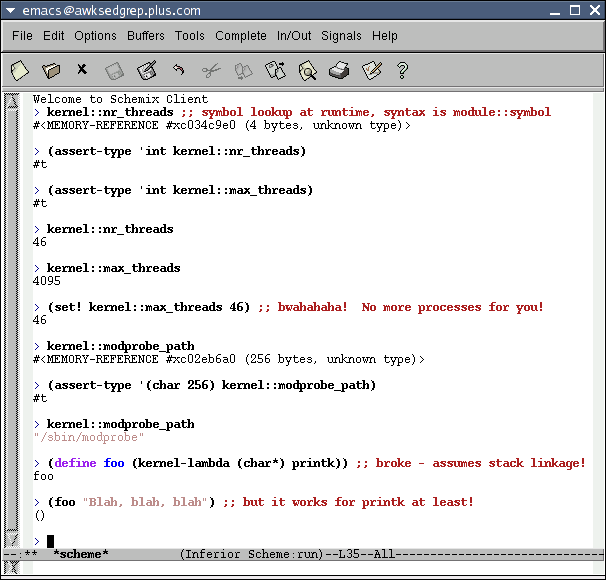 A shot of Schemix 0.2.0 running in an Emacs session. This is a very comfortable way to run a Schemix session, as we get all the benefits of the Emacs editor (e.g. syntax highlighting and bracket matching) for free.